hello world. 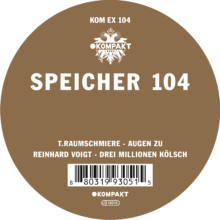 i’m proud and happy to announce that “SPEICHER 104 by T.RAUMSCHMIERE & REINHARD VOIGT” is out today on Kompakt! please enjoy at maximum volume. T.RAUMSCHMIERE – “Eterna“. the video by KERO is now online. watch it here. “Eterna” appears on the Pop-Ambient 2018 compilation wich is out on Kompakt on 17 november 2017. T.RAUMSCHMIERE – “Jaguar” the video by Stephanie von Beauvais is now online. watch it here. 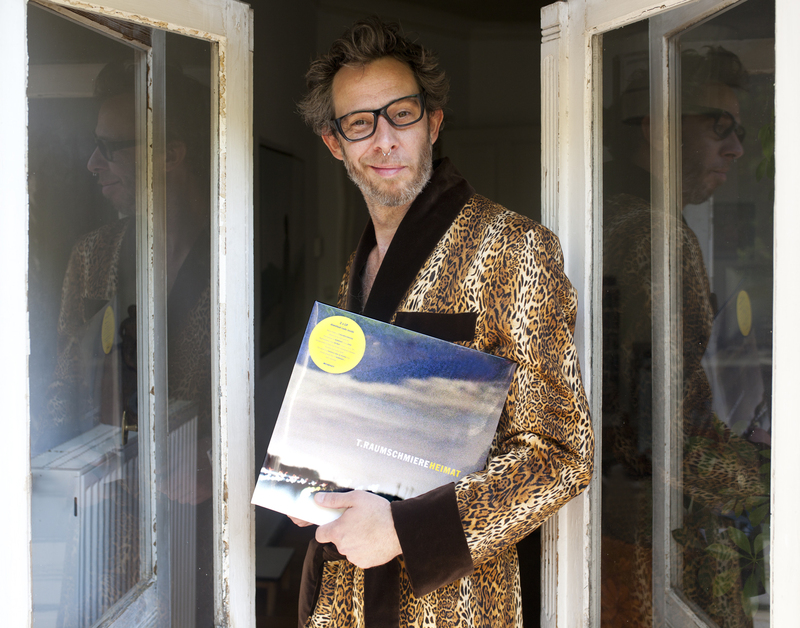 “Jaguar” is the second single of T.Raumschmiere‘s new LP “Heimat” that will be out may 19th on Kompakt. Stream/download “Jaguar” here. T.RAUMSCHMIERE – “Wacker” the wideo by BlackData is now online. watch it here. “Wacker” is the first single of T.Raumschmiere‘s new LP “Heimat” that will be out may 19th on Kompakt. Stream/download “Wacker” here. the new SHRUBBN!! album “Europa” is out now on Shitkatapult. the new OFRIN album “Ore” is out now on AlbumLabel. it was produced by T.Raumschmiere and is available as LP/CD & MP3 at Shopkatapult. also check out the great videos for “Sisyphus” and OFRIN’s cover version of the Francoise Hardy song “Traeume“. the new FRAKTUS album “Welcome To The Internet” is out now. it was produced by T.Raumschmiere & Ben Lauber and is available at Hanseplatte and on iTunes. also check out their new VIDEO. T.RAUMSCHMIERE “Zwischenstopp“. a new video my SHRUBBN!! partner Ulli Bomans aka SCHIERES. the song is taken from the album “T.Raumschmiere”. watch the video HERE. T.RAUMSCHMIERE – NEW ALBUM – OUT NOW!! i’m happy to announce that my new album entitled “T.Raumschmiere” is released today on AlbumLabel!! it is available as CD, LP, and Digital Download. the limited LP is pressed on 180g vinyl and comes with a download code for the complete album plus 3 bonus tracks. you can order your copy here. T.RAUMSCHMIERE & ANIKA “Sleeping Pills And Habbits” new and trippy video by DAT POLITICS. the song is taken from the upcoming album “T.Raumschmiere”. released on 30 oct 2015 on AlbumLabel. watch the VIDEO. 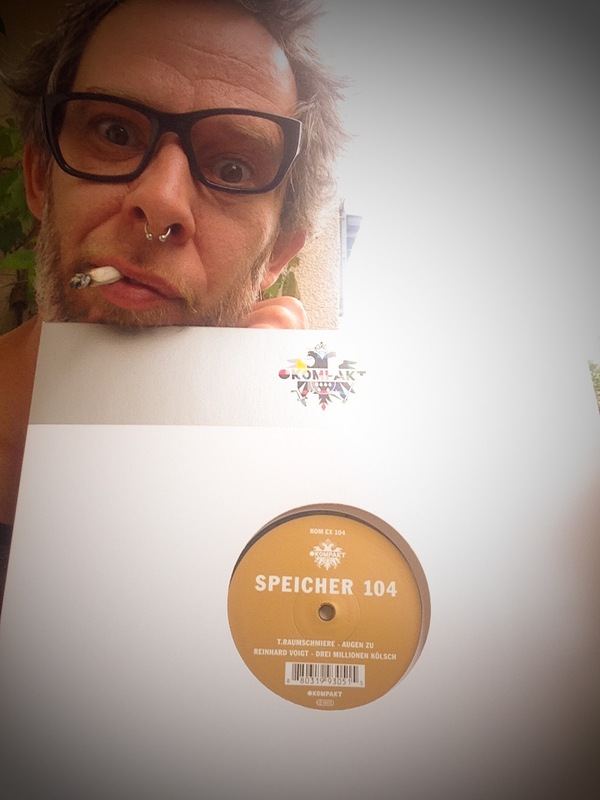 the new T.RAUMSCHMIERE track Anker appears on the 150th release of the berlin based label SHITKATAPULT. it is a compilation called Werkschau 03 and is only available as 2LP+mp3 or digital download only. you can get it here. out today: D-R-U-N-K with T.RAUMSCHMIERE. red vinyl. limited to 200 copies. including the summer hit “I’M NOT AS THINK AS YOU DRUNK I AM”. out today and only available in participating stores: an exclusive release for record store day 2014 by CRISTIAN VOGEL & T.RAUMSCHMIERE. limited to 300 copies worldwide.